I don’t see Israel giving away Golan Hights so easily, specially when they have found oil there. This will be the Genesis of the Amagedon war. Having worked in both Russia and Israel for several of years – with both cabinets – I can assure you the Golan Heights won’t be fought over. 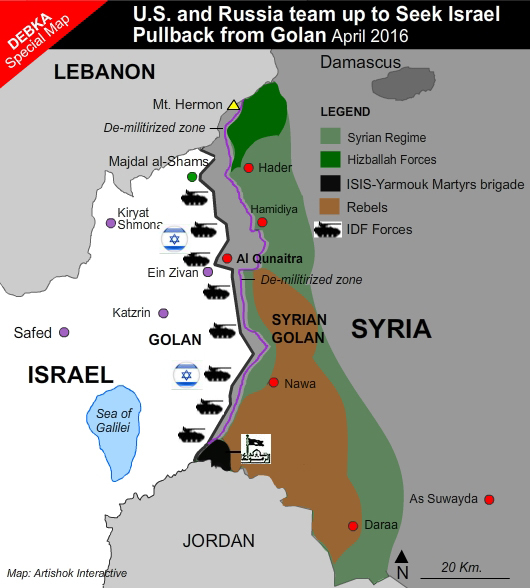 Russia has accepted that the Golan Heights will stay.